We arrived in Playa San Miguel running on adrenaline. Two days of travel with kids was exhausting but we were so excited to see turtles! It was our first view of the ocean. Elise ran the project and showed us the site and our cabina. We had a few minutes to to settle in before an amazing lunch. All of the food was incredible – even our picky eater listed the food as one of his three favorite parts of the trip – I wish I had gotten recipes! Most patrols were late at night and our littlest (5 years) usually only managed one lap of our section of the beach. Lots of lightening, few turtles, but it was early in the season. The researchers were very accommodating with our kids’ schedule and our littlest loved working with the “big girls”- when she was done for us, she went further for them. We had three patrols before we saw our first turtle. She was just looking for a nesting spot and I got to catch the eggs as she laid them after we watched her dig the nest. Our littlest had already gone to bed, but we sent big brother to get her and she got to help put the eggs in the nest in the hatchery. Big brother (14 years) wasn’t so excited about how slimy the eggs were so he excused himself from helping! Despite missing a lot of luxuries from home, the kids were troopers with minimum whining and complaining. Our littlest’s favorite things were: seeing the mama turtle, releasing the baby turtles, the butterfly farm, and swimming in the ocean. 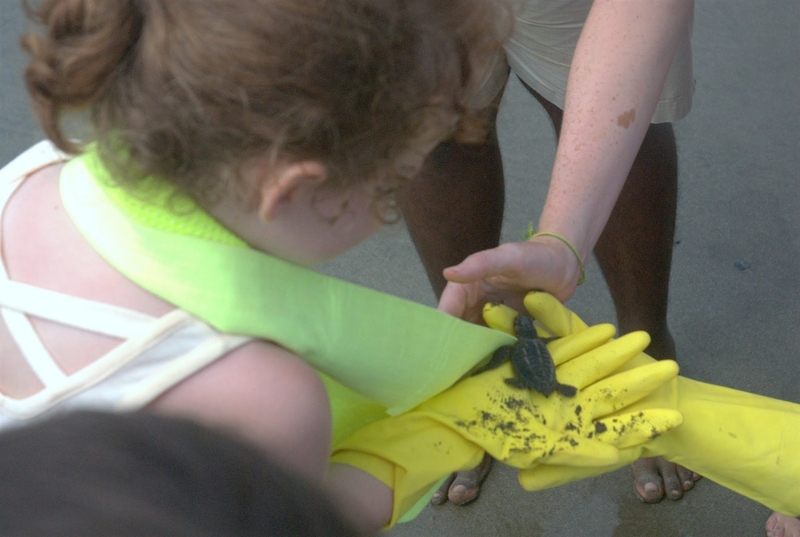 Big brother’s list is pretty close: seeing the mama turtle, releasing the babies, the butterfly farm, and the food. Our final night on the project we went out to dinner at a restaurant with most of the group – it was a great way to say goodbye to everyone. By the end of our week we were ready to head home. Big storms came through several nights with thunder that shook the cabina. The howler monkeys and chickens made noise around sunrise every day. And the heat just wiped us out. We were ready to go back to a life without sand in everything, hot showers, and washing machines. For all of the niggles, though, it was an incredible trip with so many wonderful family memories and we’re so happy we did it! 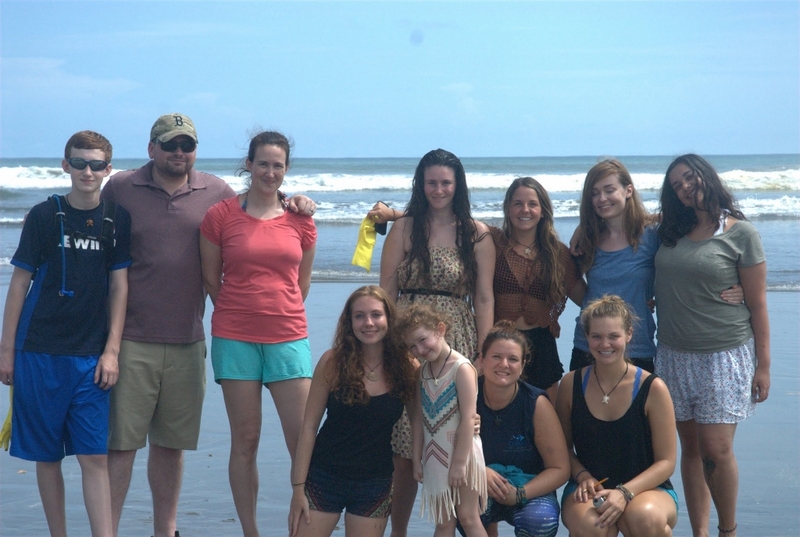 To find out more about family volunteering in Costa Rica, check out our family volunteer trips page.